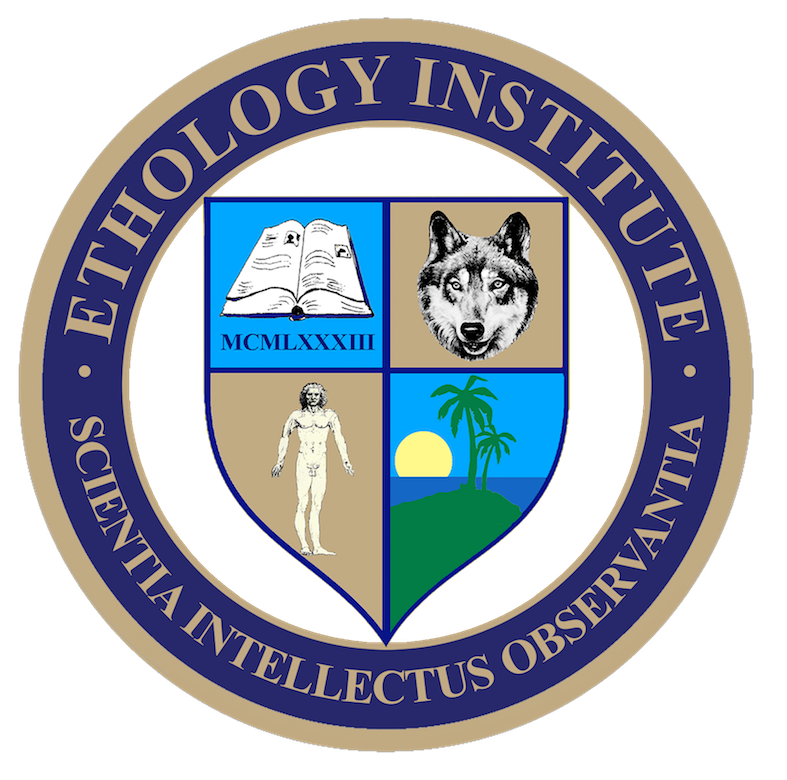 We never fought the wolf, never the enemy, we fought ourselves—and the enemy within us (Image via Wikipedia). 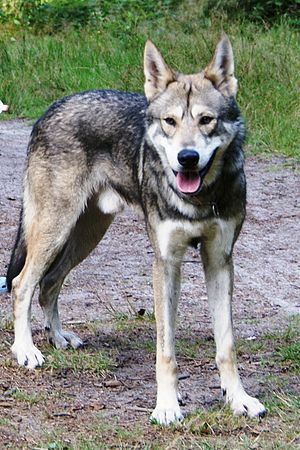 Back in time, there were no wolves or dogs, only Canis lupus perantiquus (my name), the common ancestor of Canis lupus lupus, Canis lupus familiars, and 37 other subspecies. 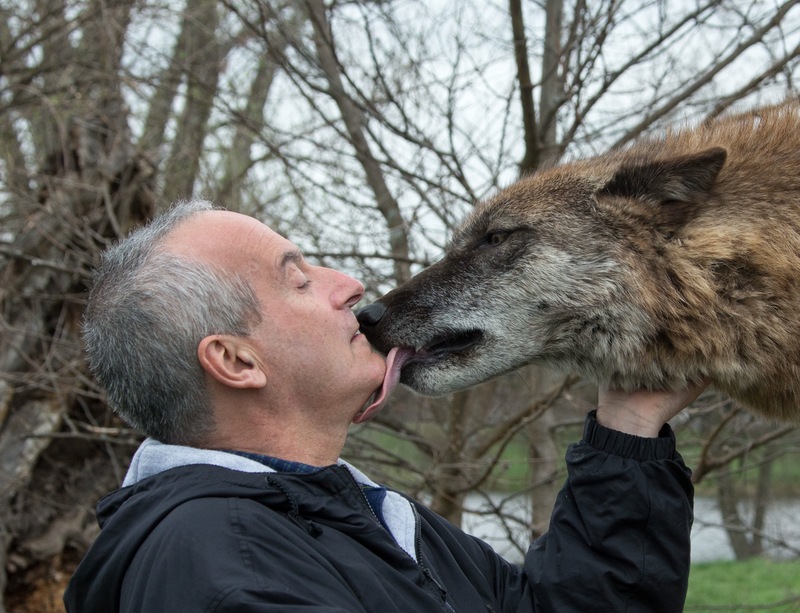 Humans, by then Homo sapiens sapiens, developed, not surprisingly, a particularly healthy relationship with this Canis lupus perantiquus. Both shared common interests and humans were still just one of many species. The relationship was mutually beneficial and resulted in some humans favoring certain perantiquus and certain perantiquus finding human company particularly rewarding. Some species react strongly to stimuli they have not experienced for thousands of years, the scent of a predator, for example. These alarming and life saving key stimuli remain in the species’ gene pool, a kind of genetic memory. 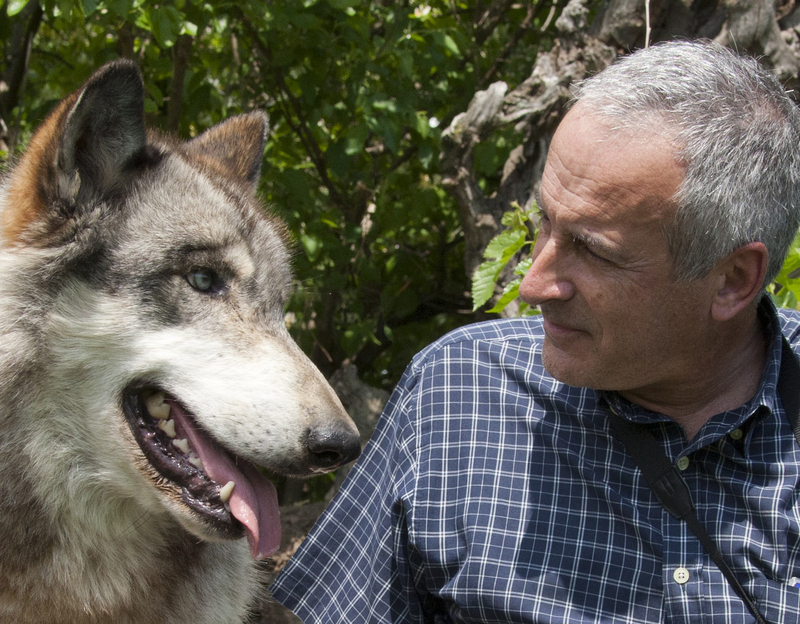 It is very unlikely that our fear of wolves stems from this kind of genetic memory; if we were that afraid of the wolf, we would never have gotten as close to it as we did. Perhaps we were afraid of the wolf in primitive times, but thousands of years of living in close proximity and cooperating would have changed that, as the least fearful members of both species would have benefited from the other. 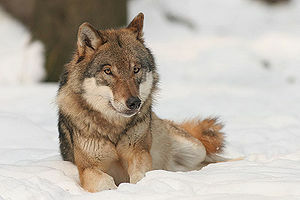 In those days, we can presume that the wolves that were least afraid of humans and capable of cooperating had better chances of survival and propagation (and ultimately turned into dogs); and conversely, the humans that were least afraid of wolves and were better at cooperating were more successful hunters, therefore survived and propagated (and ultimately turned into dog owners). 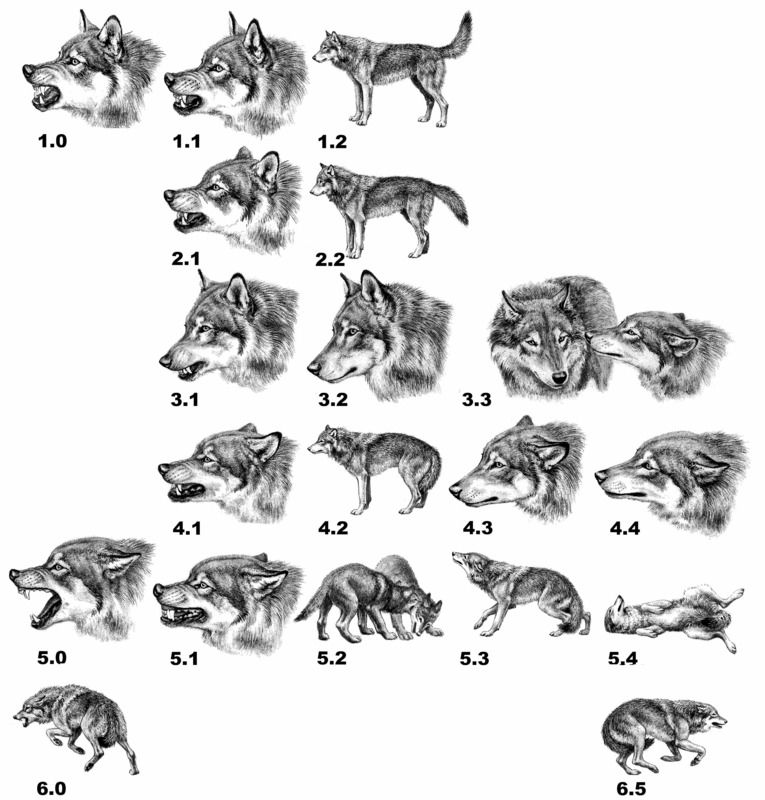 Our fear of the wolf makes no sense from an evolutionary perspective, but perhaps it does from a psychological one. After all, we seem to fear what most resembles us—the enemy within! Our fear and hatred of the wolf began long after the domestication, when humans took the first steps to distance themselves from nature, to enslave and exploit it—it happened when we invented agriculture. In the beginning, there was no war, only small-scale feuds provoked by the occasional domestic animal being taken by a wolf. The large-scale extermination of the wolf is not due to a single factor, but to an intermingled combination of factors that include mythology, religious zeal, environmental changes economic incentives, and a deep psychological scar, as we shall see. Religious convictions support our hatred of the wolf. “Then God said, ‘Let us make man in our image, after our likeness; and let them have dominion over the fish of the sea, and over the birds of the air, and over the cattle, and over all the earth, and over every creeping thing that creeps upon the earth. '” (Genesis 1:26-29). European farmers and American settlers were devout Christians and they didn’t need a clearer incentive to declare war on all that crept upon the Earth. “Be fruitful and multiply, and fill the earth and subdue it; and have dominion over the fish of the sea and over the birds of the air and over every living thing that moves upon the earth.” (Genesis 1:26-29)—and the wolf became the ultimate target and symbol of their mission. Farming and the keeping of domestic animals in enclosures combined with the decimation of the wolf’s natural prey, forced the wolf to get closer to human settlements and to feed upon the occasional livestock. 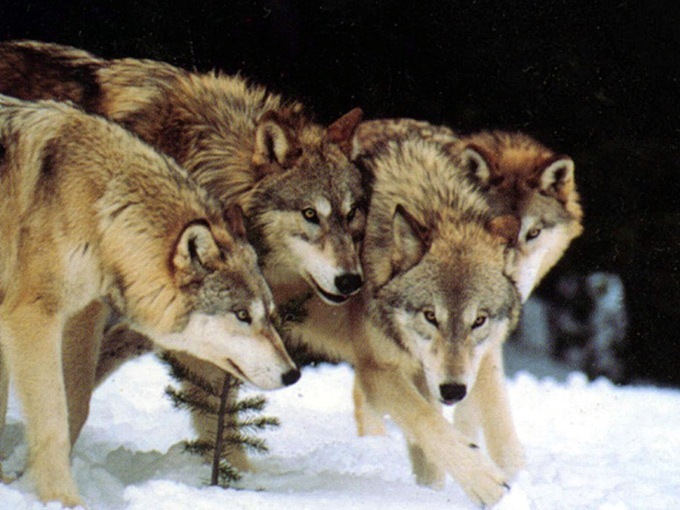 Today, most wolves avoid livestock when they have enough wild prey, but the wolves of the 1800s faced extreme food shortages and preyed upon cattle and sheep. This wasn’t a problem for rich farmers and even the smaller family farms could have survived the subsequent economic loss, nevertheless, governments attempted to solve the supposed problem by creating bounties in return for the head of a wolf. Besides shooting them, wolf hunters used traps, poison, denning (excavating a den and killing the cubs) and biological warfare (infecting captive wolves with sarcoptic mange and releasing them into the wild)—and so wolfing became a lucrative business. Mythology, religious zeal and economy go a long way towards explaining the hatred but don’t explain everything. One thing is to control competition (it happens all the time in nature), another is to embark on radical extermination and what’s more, find pleasure in the practice of torture (such as setting wolves on fire, skinning them alive, hanging them, etc.). Such barbarism suggests the real reason for our hatred is well hidden and maybe closer to our hearts than we care to believe, or dare to face. There is a high price to pay when evolution equals revolution. The (relatively) quick adoption of dualism and a mechanistic view of the world forced us to part with holism and animism, and left us with deep scars. In order to obey God, conquer the world and subdue all that crept upon our planet, we had to sever our connection with the natural, unruly, uncivilized world. To live up to the moral laws of Christianity, we had to go against our nature, denying who we were and where we came from. We had to cover our tracks. All that reminded us of our holistic past had to be oppressed, suppressed, forgotten. 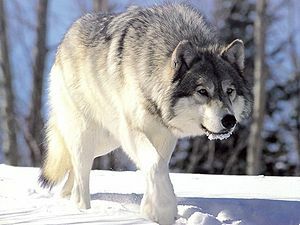 The wilderness in general and the wolf in particular reminded us of our true nature, the very same nature we despised. It became them and us, they were symbols of the unruly, the untamed and we, the purveyors of God’s wishes and civilized order. They symbolized what we were, not what we wanted to be. We had to subdue our own wild side, a legacy from our ancestors from many millions of years ago, which had proved highly efficient for survival, yet was despised and denied by the Holy Church. We were imprinted with religious zeal, which elicited the need to stifle the symbolic wild wolf inside each one of us; and we denied our origins, a strategy that was always only going to work on a short-term basis. A conflict of identity was inevitable; the werewolf perhaps represents our struggle to switch from an organic to a mechanistic worldview. “Looking back, we did not fight the enemy, we fought ourselves—and the enemy was in us,” says Private Chris Taylor in Oliver Stone’s movie Platoon from 1986. Echoing Taylor, I’d say: we never fought the wolf, never the enemy, we fought ourselves—and the enemy within us. As long as we will remain in denial of our inheritance, the scar won’t heal and the enemy will remain well entrenched within us—and so will we keep fighting the wolf. * “That’s where the dog lies buried,” means “that’s what lies behind.” This idiomatic expression exists in many languages, e.g. “da liegt der Hund begraben” (German), “siinä on koira haudattuna,” (Finish), “där är en hund begraven” (Swedish), but not in English. Most interestingly, the Swedish expression “att ana ugglor i mossen” (to suspect owls in the bog) meaning almost the same, comes from the Danish expression “der er ugler i mosen.” Originally it wasn’t “ugler,” but “ulver” (wolves), which makes more sense since an owl in the bog is nothing special. Since the two words in some spoken Danish dialects are difficult to distinguish from one another, it was translated incorrectly into Swedish, and the expression re-introduced in Denmark with owls substituting wolves. The expression and its history was too good for me not to use it in the context of this article. I hope the native English speakers will regard it as an enrichment of the language, rather than a nuisance. Burbank, James C. 1990. “Vanishing Lobo.” Boulder: Johnson Books. Hampton, Bruce. 1997. “The Great American Wolf.” New York: Henry Holt And Co.
Lopez, Barry. 2005. “The Clamor of Justification.” Ed. Donna Lecourt. Dubuque, Iowa: Kendall/Hunt Publishing Company, 2005. Wolf Puppies to be Arrowed in Montana by the Wolf Preservation Blog.